Destined to Travel offers 100% customized African safari experiences. This means that there are no pre-scheduled one-size-fits all trips here. Your safari is your journey and we want it to be as unique as you are. Whether you are seeking adventure, a romantic yet different honeymoon, a fun trip for you and friends or something in between, we can tailor a safari to meet your needs and preferences. Past guests have gone on photographic safaris, family safaris, couple safaris, philanthropic safaris, extreme adventure (climbing Mt. Kilimanjaro) and more. Common highlights/places to visit on safari include beautiful Tarangire National Park, Ngorongoro Crater and the mesmerizing Serengeti. Simply specify what you’d like to do and see and the type of accommodations –Budget, Moderate or Luxury and we’ll take care of the rest. 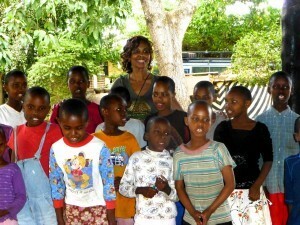 Day 1 Arrive in Arusha, The Gateway to Your Safari. 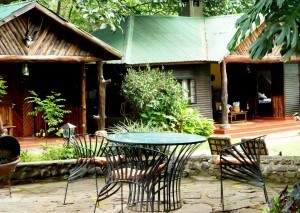 The bustling city of Arusha has excellent places to stay and eat. For the most part, it is lush, green and enjoys a temperate climate throughout the year. Arusha is the starting point of many a fine safari or memorable cultural tours. Explore all that Tanzania has to offer, from trinkets to beautiful and unique pieces made by well-known artists and sculptors. As this is the only place where Tanzania is mined and found, we’ll be sure to stop and take a look at which of these beautiful stones you will bring home, as a memory of your trip. You can also visit UAACC Leaders of Tomorrow Children’s home, which was created in 2008 to help improve the lives of disadvantaged children within the community. 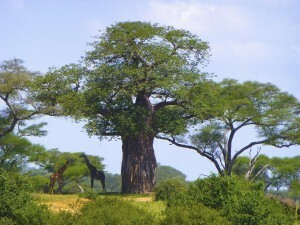 Home to some of the largest baobab trees, Tarangire is one of the more seasonal parks in northern Tanzania with a lot of migratory movement within the greater Tarangire ecosystem. 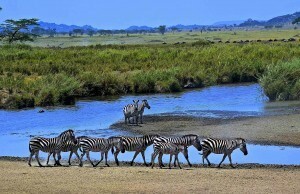 In the dry season, between June and October, large herds of animals are attracted to the Tarangire River. Herds of up to 300 elephants can be found, looking for underground streams, in the dry riverbeds while migratory wildebeest, zebra, buffalo, impala, gazelle, hartebeest and eland crowd the shrinking lagoons. 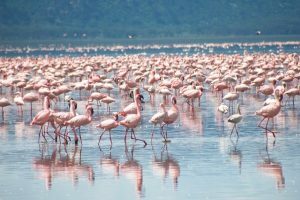 Stretching for 50 km along the base of the rusty-gold 600-metre high Rift Valley escarpment, Lake Manyara is a scenic gem. From the entrance gate, the road winds through an expanse of lush jungle-like groundwater forest where hundred-strong baboon troops lounge nonchalantly along the roadside, blue monkeys scamper nimbly between the ancient mahogany trees, dainty bushbuck tread warily through the shadows, and outsized forest hornbills honk cacophonously in the high canopy. The Serengeti ecosystem is one of the oldest on earth. The essential features of climate, vegetation and fauna have barely changed in the past million years. 200,000 zebras flow south from the northern hills to the southern plains for the short rains every October and November, and then swirl west and north after the long rains in April, May and June. So strong is the ancient instinct to move that no drought, gorge or crocodile infested river can hold them back. The almost two million Wildebeest travel through a variety of parks, reserves and protected areas and through a variety of habitat. Join us to explore the different forms of vegetation and landscapes of the Serengeti. Acacia is located in the city of Karatu where you will spend your last night in luxury. Bring your swimsuit, the pool is grandiose. As we depart if there is any shopping left to do, we will make several shopping stops to complete your last-minute shopping. Our farewell lunch is held at Shanga where they only deal with organizations that provide fair employment conditions to staff which must include a fair salary and related conditions, not always enjoyed in the developing world.